Åbro. One of Sweden’s premier breweries with more than a hundred years of malt and hops prowess. But, these are challenging days for traditional breweries. Beer-drinkers are evolving and so is their taste in beer. It means pale lager is no longer the obvious choice. To compete, Åbro needed to evolve. They needed a new beer brand. Something capable of enticing the modern beer-drinker. Introduce a new brand. One that stands out in today’s diverse beer world. One that attracts curious minded beer-drinkers. 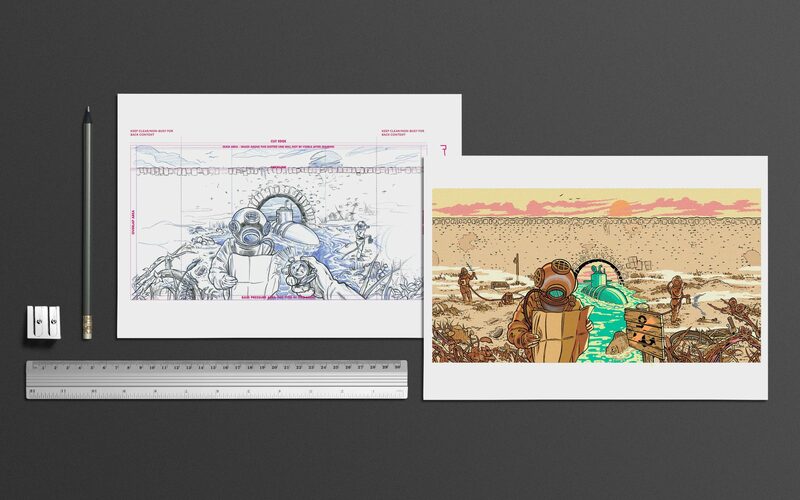 Naming, concept, pack-design and more. The beer must be good. That’s a given. But it’s also not enough. A veritable explosion of new beers has provided a shelf filled with alternative tastes, all vying for attention, and all screaming 'fabulously tasty beer'. How do we stand out? Easy. Be less beer. More fun = more unexpected. And therein lies an opportunity. As it happens the Åbro brewery sits beside a river. Across this river spans a small bridge. And that makes sense because ”Åbro” means both ”river” and ”bridge”. More importantly, the rivers water flows under the bridge and into the brewery where it’s used to make Åbro beer. And that’s where our thinking starts. With bridges, or BRON as they’re called in Swedish. There’s something about bridges and water that automatically stirs the imagination. So, we found ourselves imagining a world. A curious one of unpredictability and randomness. One where ordinary becomes less than ordinary. 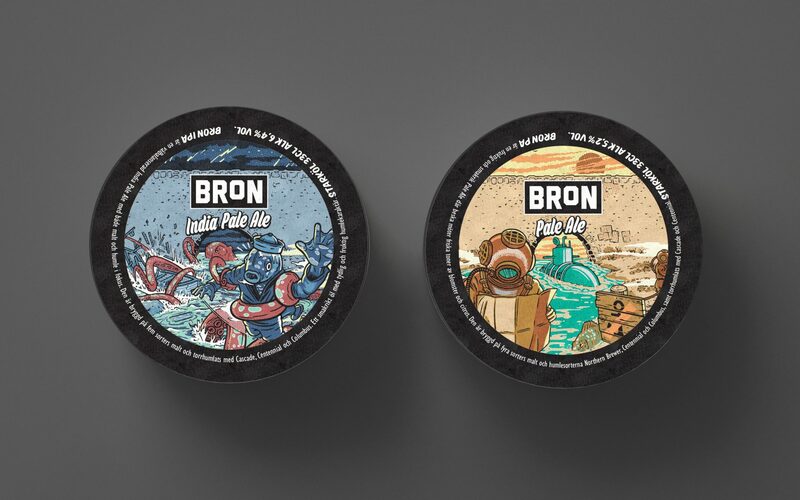 A place where beer becomes BRON. The remaining question. What really does go on under that bridge? 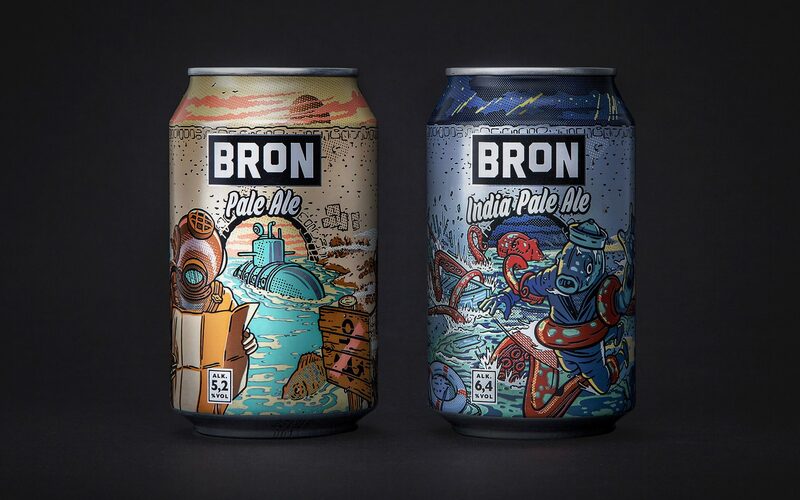 Bron IPA and Bron Pale Ale. Two beers rich in flavour. 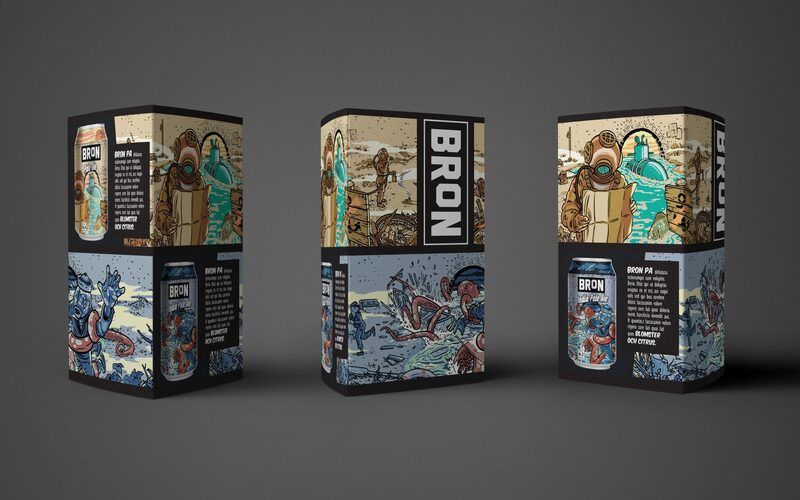 Contained in cans that look like no other. 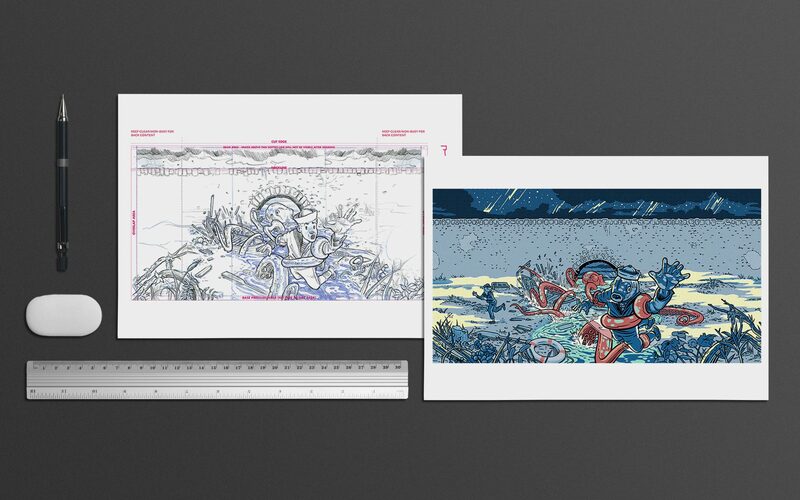 Add to that coasters, posters, t-shirts, plus more. And there we have it. 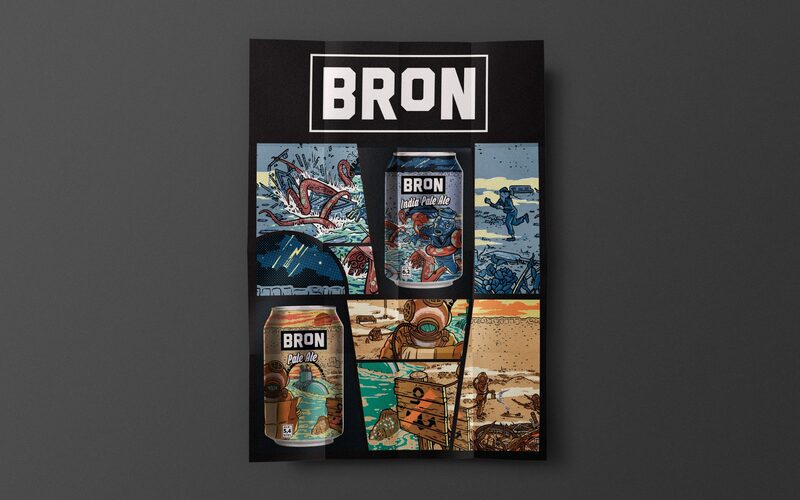 BRON - a new, tasty, modern, irreverent brand for the Åbro beer family.